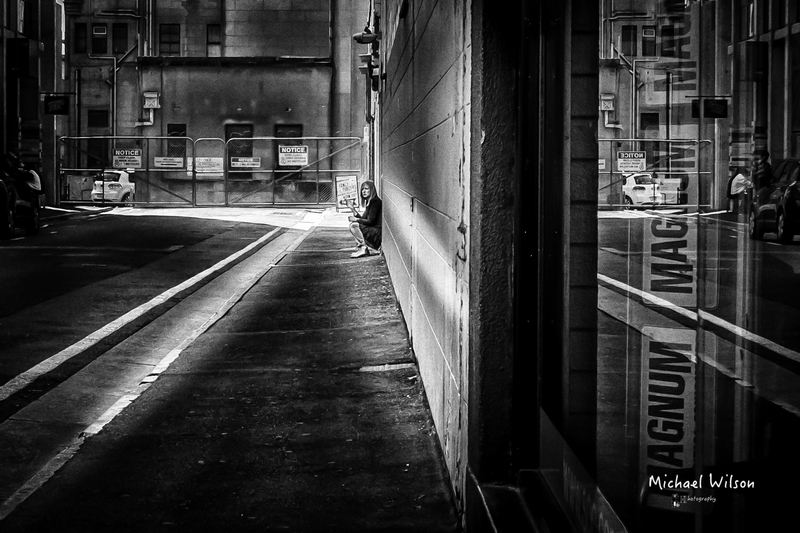 This entry was posted in Photography and tagged Adelaide, Adelaide Street Photography, Alley, City, Lightroom, Monochrome, People, Photography, Rundle Street, Street Photography. Bookmark the permalink. I love the new style though sometimes I do think about that marvelous peer !!! I will get back to the Landscapes at some point, but I have just bought the Fujifilm X100s and I am loving the street Photography at the moment. Its a big lerning curve and has grabbed my attendtion at the moment. Thank you R C that is a great compliment and I appreciate it very much. Looks like a scene from Law and Order . . . great story behind that haunting figure. Your photography is just extraordinary!